Festival Season has returned! Celebrate music, art, and food in Oakland with Oakhella in the sunshine. April 28th marks our season opener and we can’t wait to see you. The day will be jam-packed with amazing live performances, beautiful visual art, dope DJ sets, delicious food trucks and some of the coolest vendors you can find in the Town. It’s about to go down. 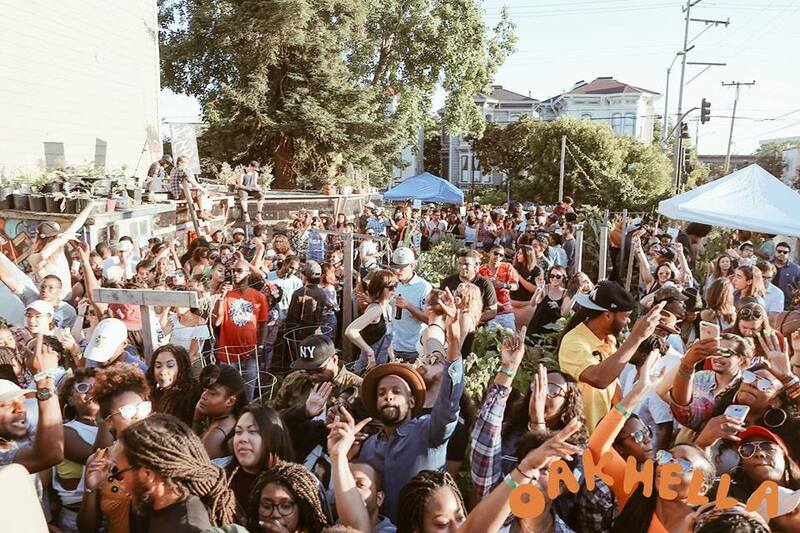 The Season Opener of the Oakhella Festival Series is taking place on Sunday, April 28th from 1pm-8pm in West Oakland on the corner of 8th Street and Peralta Street. Anchored by the Bottoms Up Community Garden, the day’s festivities will take place over several blocks within the historical Black center of Oakland.